An inspirational look at how our nation's earliest ideals resonate in today's world, The American Dream shows us in very personal terms that America is still a place where hard work, dedication, and vision can transform dreams into reality -- Bestselling author and award-winning journalist Dan Rather provides a powerful look at Americans who struggle for and achieve their desires and ambitions. Here he has gathered the stories of ordinary men and women who are accomplishing the extraordinary, and demonstrates how the American dream guides us as individuals and as a society, binding us together even amid the fragmenting and self-isolating tendencies of modern American life. 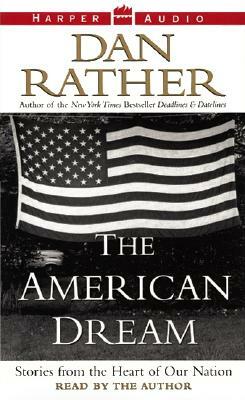 Stirring and provocative, The American Dream illustrates that the basic American desire for "life, liberty, and the pursuit of happiness" is alive and well. It also confirms what our founding fathers always believed: that we are a country of visionaries, in ways big and small. Dan Rather has received virtually every honor in broadcast journalism, including numerous Emmy Awards and the Peabody Award. He is anchor and managing editor of CBS Evening News, anchor of 48 Hours, and correspondent for 60 Minutes II. He is also the authorof such bestsellers as Deadlines & Datelines, The Camera Never Blinks, and The Palace Guard. He lives in New York City with his wife, Jean.